Today was the annual Classic American car show at Gladstone Park, Pegasus. 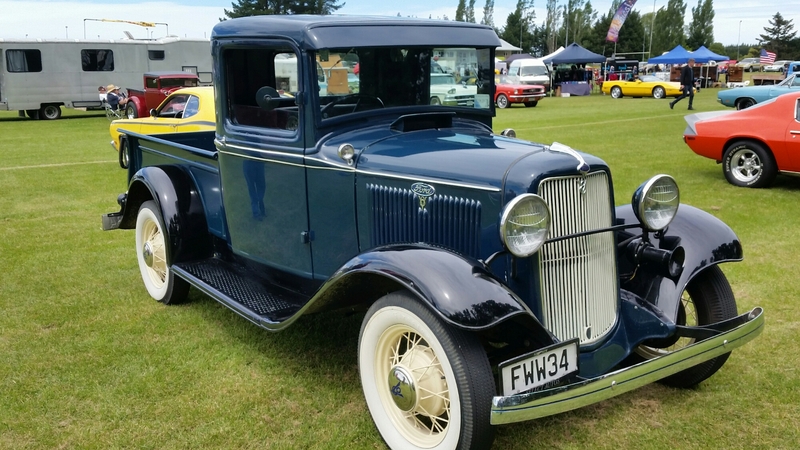 There were lots of Mustangs, Corvettes, Impalas and the like, but this 1934 Ford V8 pickup really appealed to us. Well, nominations have closed and we have elections for all positions except the Ohoka-Swannanoa subdivision of the Oxford-Ohoka Community Board where there are three nominations for three positions. It’s great to see a large number of people putting themselves forward to serve our community. Check the Council website for the names. The new playground at Pegasus is proving to be a huge hit with local and visiting kids! At one of the periodic public meetings called by the Pegasus Residents Association tonight, plenty of questions were asked of Todd Properties Ltd and Waimakariri District Council staff. Strong themes included swale maintenance, Pegasus Lake, the commercial centre, traffic speed and street trees. From my point of view, it was a very useful meeting. Not all of the town is in Council hands yet but progressively this is coming to pass. 77 consents for new dwellings were issued in June 2013, which is 7 more than for June 2012. For the year to date 631 consents for new dwellings have been issued compared with 495 for the first 6 months of 2012. 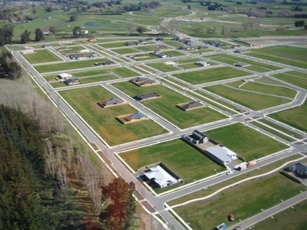 In June 9 consents were issued for new dwellings in the Silverstream subdivision as compared with 11 elsewhere in Kaiapoi, principally in the Sovereign Palms subdivisions. The building consents issued for dwellings in January and February are running at similar levels to last year. So far this year (January – February), 224 dwelling permits have been issued. For the same time last year, 127 were issued – and that was historically high. These graphs speak for themselves. The approval by the NZ Transport Agency of an eastern bypass brings to an end many years of uncertainty for the Woodend and, more cecently, Pegasus communities. The shifting of State Highway 1 traffic out of the centre of Woodend, while it is still at least 15 years off, will mean that that the town will no longer be split by heavy traffic, including a lot of trucks, through the middle of the town. When it happens, the result will be an extension of the Christchurch Northern Motorway north to the Pegasus entrance. There is still a process to go through with the Council. The designation (which enables NZTA to start buying the needed land) has to be inserted into the District Plan. This isa public process and the ublic have the right to make submissions, which, of course, have to be considered. The Government’s announcements yesterday added nothing to what is already known for Waimakariri. Kaiapoi Borough School can remain on its current site. The future of the school was not in question, but there was a question over the land, given its close proximity to the Kaiapoi River. The land isn’t great, especially close to the river, but there is room to rebuild further away on the same site if necessary. 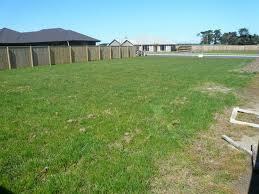 All this is good news, because another site in Kaiapoi isn’t obvious. Waikuku School will move to Pegasus and presumably change its name accordingly. This has been on the agenda for something like 15 years – it was just a question of when Pegasus had grown to a point that would justify the move. The Waikuku School community is pleased because their current site on the Main North Road (State Highway 1) is not great. Building of the new school should start soon. The Government has also signalled that a new school will be built in western Rangiora at some time in the near future. Again, there has been talk about primary school provision in Rangiora for close to ten years, but clearly Rangiora’s current growth spurt has concentrated minds in the Ministry of Education! Council structure plans for west Rangiora already have a suggested site for a school, but this is more conceptual thn real, so no actual site has been chosen. 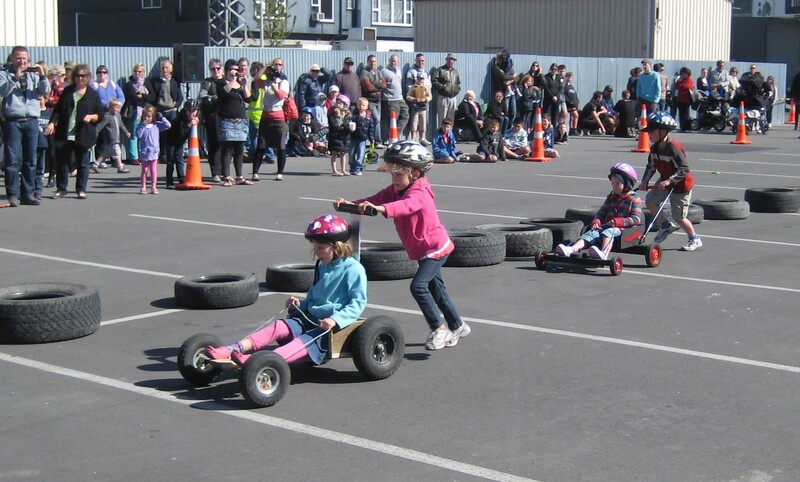 A couple of weekends ago, the Rangiora Soapbox Derby (run by Our Town Rangiora), the Woodend Flower Show and the Pegasus Fun Run and Walk were all on. The schools announcements by the Minister of Education have certainly got Christchurch going. I attended four Christchurch schools and three of them are either gone or have question marks over them. As for Waimakariri, two schools featured. Kaiapoi Borough School is to get further land investigation done and it was further signalled that the Waikuku School would be transferred to a new site in Pegasus. 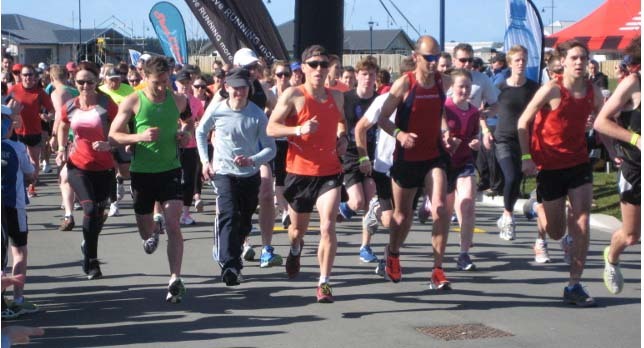 New Events Can Quickly Become Iconic – Go Sefton! Sometimes someone gets a bright idea for a local fundraiser and it becomes an essential date on the calendar almost immediately – like the Ohoka Garden Tour or the Pegasus Fun Run – or using the Pegasus lake for dragon boating. An excellent example is the Sefton Tug of War. The organisers have taken an old idea and have turned it into something that should be sustainable – making a healthy proft for the Sefton School in the process. 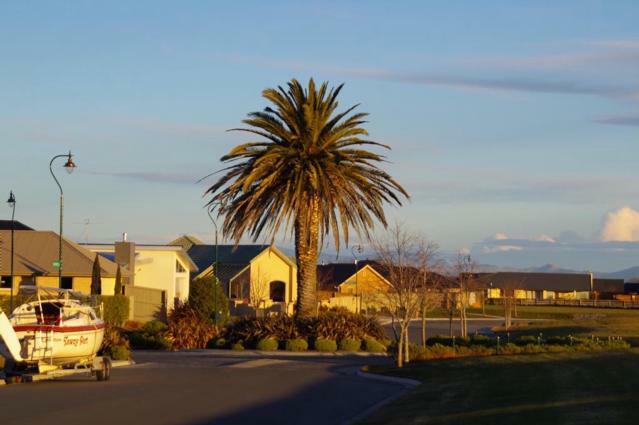 The Sovereign Palms subdivision north of Kaiapoi is moving fast and a lot of interest has been shown in the Silverstream subdivision to the west of that town. Given that most of those in the Kaiapoi red zones have indicated hat they want to stay in Kaiapoi, this is not surprising. Local will have noted the houses springing up in the new Horncastle subdivision on the eastern side of Rangiora and in the Arlington subdivision in the north-west. Pegasus has got going again, too. Real estate firms are reporting that there is also strong demand for rural life-style blocks, particularly in the Clarkville-Ohoka area and for rural-residential properties in the likes of Mandeville. This all suggests that many of those who are having to move out of Christchurch are looking north. Historically, this has been the pattern for some time, but there does seem to be a very strong spile: in November the Council received over 200 applicatons for building consents. The strongest year that we have had in the past has been on the 600s. I was opposed to the Pegasus proposal when it was first mooted, an opposition that was well publicised at the time. I submitted against it at the hearing. Pegasus is now a fact, however. 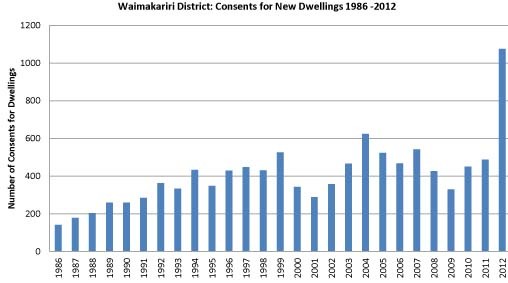 People are moving in and they are now Waimakariri residents. The owners of properties there are Waimakariri ratepayers. It is in the interests of the District for the Pegasus development to succeed. Failure would bring about a significant social cost to the wider community. The development of the relationship between Pegasus, Woodend and Waikuku is going to be something that the three communities and the wider District are going to be working on for a number of years. 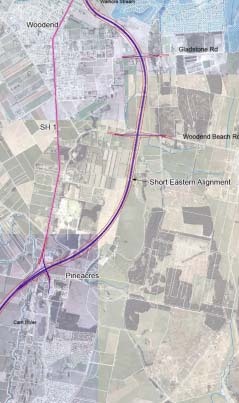 That the Council adopts the modified Short Eastern bypass alignment as generally indicated by the Transit NZ consultation process as its preferred option, subject to NZTA acknowledging that the existing designation on the current alignment will not be used for four laning of the state highway and subject to a route being adopted that, (i) avoids New Zealand Historic Places Trust registered buildings and sites, and (ii) minimises the destruction of existing houses. If this motion had not passed, it would have meant that the Council would have been tacitly supporting the four-laning of the Main North Road through Woodend. There have been no other resolutions on this subject since then. I strongly support a State Highway 1 bypass around the town. I always have – and I voted for it when it last came up at the Council. I regard the current route through the middle of the town as totally unacceptable. Note that the Mayor and Cr Cole both voted against the bypass. From time to time you might hear test transmissions coming 104.9 FM. At the moment, the North Canterbury Radio Trust is using a low-powered transmitter from its Rangiora studios. Eventually, when the station is operational, transmissions will be beamed from Mount Grey with repeaters to service areas like Hanmer and Cheviot. At the moment you will hear just music and the occasional promotional message – and the station only reaches the area around Rangiora. 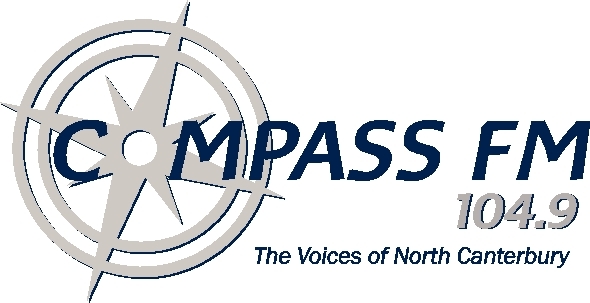 Compass FM will be a Community Access station that will transmit the Voices of North Canterbury. What Are Our Beaches For? Currently I am sitting on a hearings panel that has been listening to submisisons on a proposed District Plan Change, By-Law and Management Plan for the Waimakariri District beaches. There are widely divergent views regarding beach access for motor vehicles. Most seem to agree that the beach is a wonderful place – much of it a wilderness at our back door. Many would like to see no vehicles at all, but others see a legitimate use for people to get to fishing points, etc. 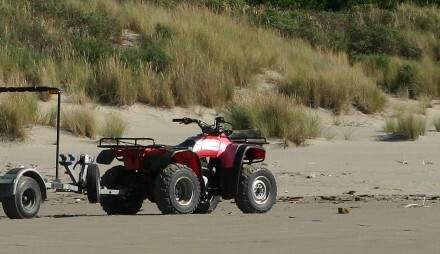 They would probably see the ATV below, used to pull a jet-ski to the beach in an isolated area, as such a use. Most, however, have expressed hostility towards the use represented below. Unfortunately, however, young trail bike riders don’t usually appear before Council hearing panels! Incidentally, the rider in the picture used a route to the beach that is already illegal. Over the years there has been a lot of discussion about the position of footpaths in relation to the kerb and the grass berm. An associated issue is the positioning of underground services: water, telephone and electricity. The latter are usually placed near the property frontages. The path is not over the underground services, making repairs to those services easier. 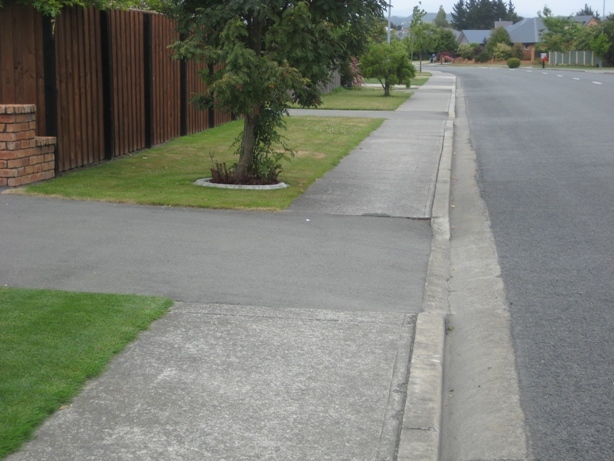 Overhanging trees and shrubs from properties are less likely to obstruct pedestrians. Passengers getting out of cars alight on to the footpath, not grass (which may be wet). However, there are disadvantages too. 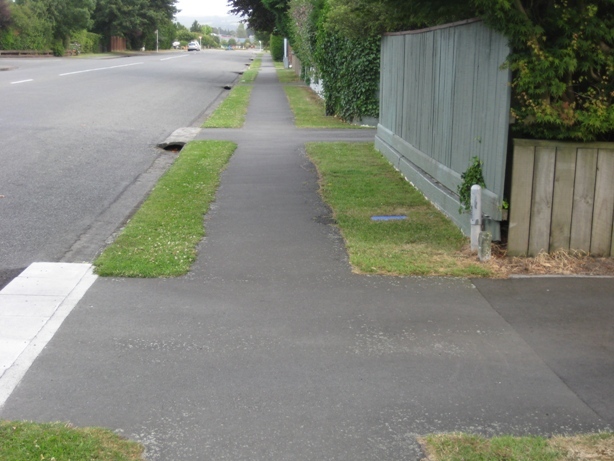 The driveway crossings are deep, making the footpath hazardous for mobility scooters and wheelchairs. 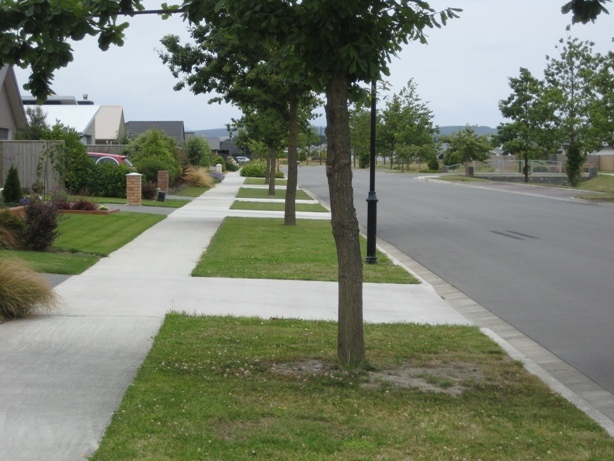 Although this photo shows street trees, there is often no room for street trees to be planted because of the underground services. 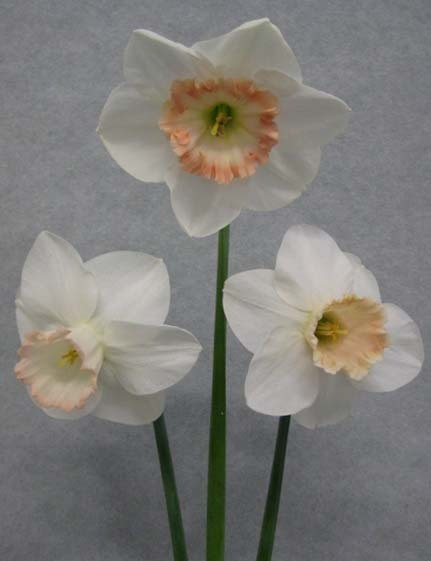 There is a common view that that this arrangement is less aestheically pleasing the photo below. In this street, the berm is next to the kerb. Because it is a new street, there is also a strip next to the property boundaries for the underground services. The vehicle crossings are flat or at least shallower – better for mobility scooters and wheelchairs. There is room for street-tree planting. Some think this looks better, providing a more pleasing streetscape. Unless there is room, as in the photo above, the underground services go under the footpath. If they need to be repaired, you end up with a patched-up footpath. Passengers from vehicles alight on to the grass, which may be wet. Trees and shrubs overhanging from the properties can obstruct the footpath. Of course, there are compromises, like this! Unfortunately, the trees that were supposed to have been planted between the footpath and the kerb never happened. Another compromise are those footpaths that curve around the street-trees. If you haven’t already picked it up, two more community boards will join the Kaiapoi Community Board at the end of the year: Rangiora and Woodend-Ashley. These will replace the current Ward Advisory Boards for those two wards. Community Boards are directly elected by the voters, Ward Advisory Boards appointed by the Council following a public selection process. So – Rangiora and Woodend-Ashley voters will have something else to vote for this October. Note that the Rangiora Ward will include much more of Fernside than at present. The public consultation process last year unearthed no desire for change in the Oxford-Eyre Ward, so it will keep its Ward Advisory Board. The powers of the two types of Board, as currently delegated by the Council are much the same. Community Boards cost a lot more because the members are paid. The membership of the current Ward Advisory Boards can be found in one of the pages on the right. The Dudley Pool 4km Rating Area: What Would be Fairer? The Council is about to go through its Annual Plan process again – what it spends and how it is going to get the money. Part of the latter is your rates. The Dudley Pool 5km rating area is only hitting in a small way this year because it it was known that the pool would be open for only about 3 months in this financial year. Its full impact will come after July this year. The biggest question is how can a targeted geographic rate for a facility open to the whole District not increase parochialism? Some seem to think that the targeted rate decreases parochialism – that sounds like Nineteen Eighty-Four to me. However, if there has to be targeted rate, how could you be fair about it? Calculate any distances on road distance from the front gate – not the current as-the-crow-flies nonsense. 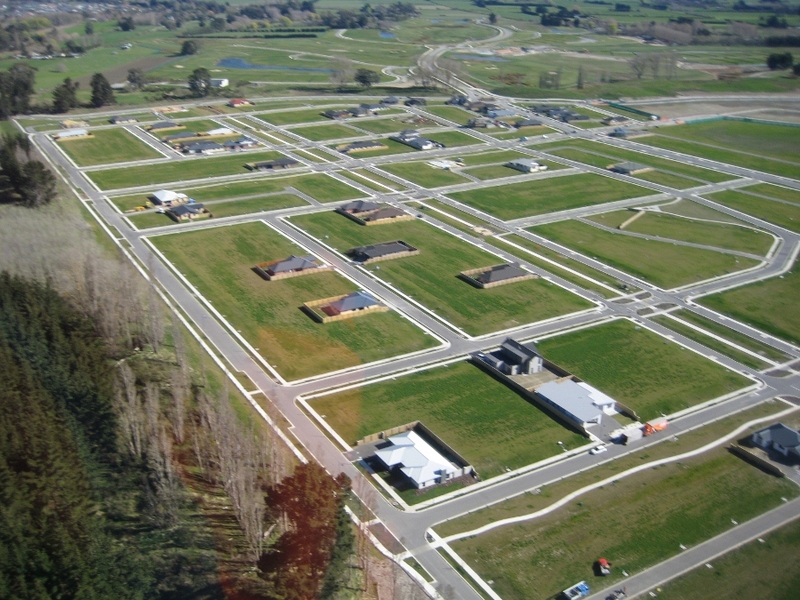 Divide the District into two: those properties closer to Dudley and those closer to Kaiapoi – because the community has only two all-year covered pools. The targeted rate goes on the former, those closer to Dudley. Divide the rated area into two zones, those closer than, say, 20km (about 10 minutes drive) from Dudley and those further away. This acknowledges that if you live in View Hill, your access isn’t as easy as if you lived in Loburn. 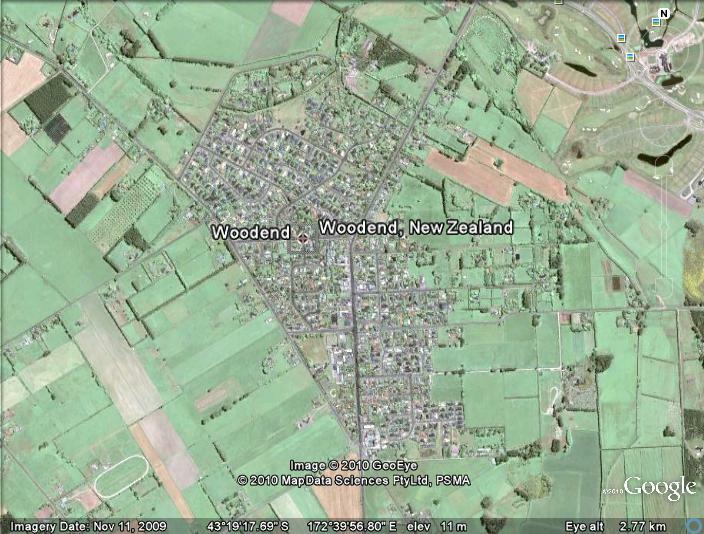 Because Woodend township is split between those who live closer to Kaiapoi and those closer to Dudley, rate the whole town, but rate it at the 20km+ rate. It’s silly having one part of a local community paying a rate for a community facility and the other not – like the present rate does to the Fernside and Loburn-Lea rural residential areas. Just some ideas – for discussion! The 20km is worth talking about too. No real news – but, hey, it is the silly season! The board of the NZ Transport Agency (which incoporates Transit NZ) will make a decision sometime this year, hopefully. They have already removed the long eastern option (through the Pegasus Western Conservation Area) and will only be considering the short eastern bypass and four-laning the existing road. In the meantime the Transport Agency have put money into the 3-year budget to begin initial design work, etc. on whatever route is chosen. We went for drive today and called in at Pegasus. There was quite a good crowd around the swimming area / beach that is open to the public – and, yes, people of all ages were swimming. A few golfers were on the course and the road to the beach is open as far as Te Kohaka o Tuhaitara Trust land, i.e. across the Eastern Conservation Area. See my post of two days ago to see where this is coming from. See Light Rail – what is it? in the pages on the right of your secreen. 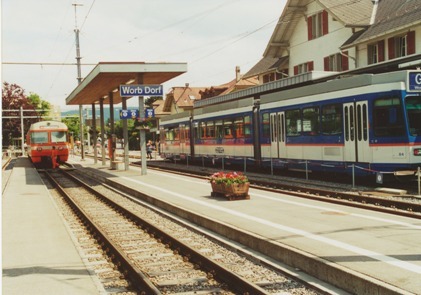 Commuter train and light rail on either side of a platform in suburban Berne, Switzerland. 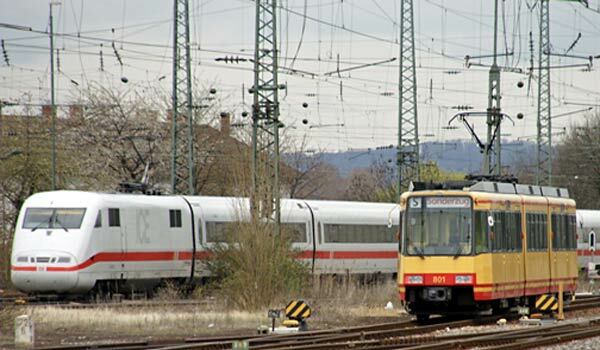 Light rail (foreground) using heavy rail tracks in Karlsruhe, Germany. Christchurch’s mayor, Bob Parker, is again promoting light rail as part of Greater Christchurch’s transport mix. I welcome his keeping it in the public eye. People in Waimakariri often say to me that we should be using rail more than we are and certainly we should be continuously considering it. My view is that some sort of commuter rail link is likely in the future – but not yet. As this District continues to grow, particularly around Kaiapoi, Woodend-Pegasus and Rangiora, public transport, both to Christchurch and within the District (linking the three nodes) will become increasingly important. At present, the effort has been going into improving the bus services, as with the dramatically improved Northern Star service and the creation of bus lanes in Papanui and Main North Roads. Buses have the advantage of flexibility: it is easy to change their routes to meet changing needs and they can use existing infrastructure (i.e. roads). One obvious disadvantage is that they tend to get caught up in the very traffic congestion that we are trying to alleviate – although that is a disadvantage for on-road light rail too. In Waimakariri, it would be possible to run commuter heavy rail into Christchurch (although the Christchurch stations may not be conveniently located). It would also be possible to run light rail on the heavy rail tracks – although we could have a problem with stability on NZ’s narrow 3ft 6in railway gauge (our trams run on a wider gauge). I think light rail has a better future for Waimakariri than heavy rail because it would link in better with any future Christchurch network (already started with the historic tram routes in the centre of the city). Light rail would be very expensive now – in fact, too expensive – but the last thing that Greater Christchurch wants is to put itself in the position of Auckland, where a lack of foresight is now costing them and the country heaps. So what should we do in Waimakariri? preserve the rail corridor and, where possible, preserve current opportunities for double tracking (probably needed for successful communter services). keep the Rangiora railway station from deteriorating. identify and preserve a site for a new Kaiapoi railway station. identify and preserve other commuter light-rail routes to, particularly, Woodend-Pegasus, and within Kaiapoi and Rangiora. include light rail in our park-and-ride thinking. There may be more! – but, whatever we do, let’s think long-term. Despite the recession, Pegasus is going ahead. Here is a recent aerial view. Kaiapoi Pa, in Preeces Road, Waikuku, is an important site for the Ngai Tuahuriri hapu of Ngai Tahu. Given the name as the place where food was brought from afar (as the poi swings around the hand), the local area was rich in resources in its own right: the sea, the Rakahuri (Ashley River), forests and wetlands were all close by, all with their own kinds of food resources. Pounanmu was brought here from the West Coast for working. In the early 1830s, conflict with Te Rauparaha’s Ngati Toa iwi brought Te Rauparaha here on two occasions. On the second, he managed to breach the pallisades and Kaiapoi was razed. Today you can see a memorial erected since that time, but, more importantly, the uneveness of the ground indicating the sites of pallisades and buildings. Willows in the distance mark the edge of the wetlands that once surrounded the pa on three sides. The pa is located on the northern edge of Pegasus. Exacavating for the new town has revealed further evidence that this was an important area of occupation before the arrival of Pakeha. The six pou at the entrance to Pegasus make an impressive statement: linking a new town with the rich Maori heritage of this area. The location is close to Kaiapoi Pa, Ngai Tahu’s central pa in this part of the South Island.